Perfect for the Holidays: Signed Ada Lace Books + Swag! "Emily is an Emmy-nominated science TV host. She's featured as a correspondent on Bill Nye Saves the World and a producer and the host of FOX's Xploration Outer Space. She is also a guest science writer and host for Discovery News and covers the space industry as a writer for TechCrunch." 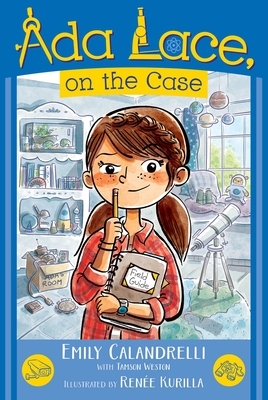 Ada Lace is the perfect series for growing scientists. Ada Lace Adventure series is available in stores now, including the newest in the series Ada Lace and the Impossible Mission. Orders placed by January 1, 2019 will include special surprise swag! Book orders with swag will ship out mid-November and begin to arrive the week of Thanksgiving. Happy Reading! We hope you enjoy your adventure with Ada Lace! Due to astronomical popular demand, the Ada Lace Adventures Collection has SOLD OUT. "Ada Lace has a new social studies teacher—who loves group projects. While most of the class has constructed regular dioramas with clay and construction paper, Ada, her best friend Nina, and sometimes nemesis Milton have built a complex scale model of an historic silver mine. But when Milton reveals that he added his “old Milton touch” on their project right before turning it in, Ada worries that he has sabotaged their work. Do the two friends have what it takes to deceive the school’s security system? Or will they get caught trying to pull off this seemingly impossible mission." Orders placed before January 1 will include a Signed Picture + other small goodies and will ship out the week of November 20. 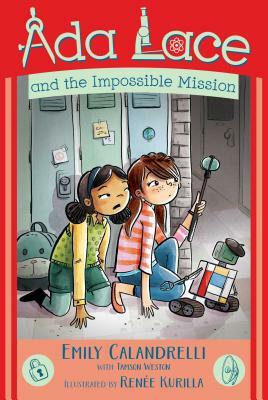 "Third grader and inventor extraordinaire Ada Lace likes nothing more than to tinker with mechanics like her robot, George. 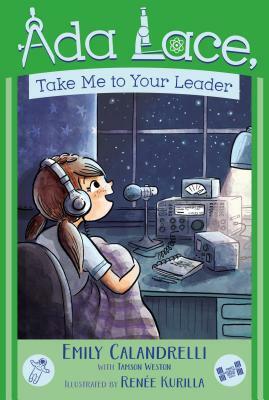 Her latest project is to fix up a ham radio, something that she could use to contact people on this planet...and beyond. The only problem is that she just can't get it to work properly. 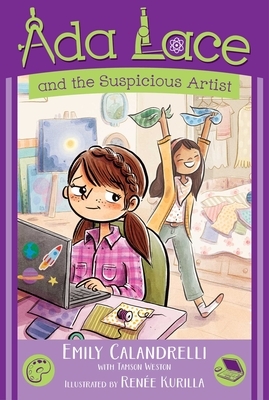 During a sleepover, Ada's best friend Nina hears something strange coming from the radio in the middle of the night. A distant voice says, "Release the swarm " convincing Nina that aliens are about to invade planet Earth. Could Ada and Nina have stumbled upon something...extraterrestrial?" "Ada Lace--third-grade scientist and inventor extraordinaire--has discovered something awful: her neighbor's beloved Yorkie has been dognapped! With the assistance of a quirky neighbor named Nina (who is convinced an alien took the doggie) and her ever-growing collection of gadgets, Ada sets out to find the wrongdoer. As their investigation becomes more and more mysterious, Ada and Nina grow closer, proving that opposites do, in fact, attract." "Ada Lace is building a new robot She's determined to beat Milton in the upcoming robotics competition. 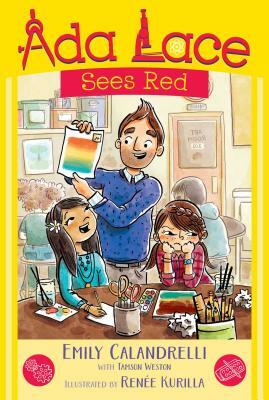 But she's distracted--Ada finds her dad's art class impossible, while Nina is the star of the class, basking in the glory of being Mr. Lace's star pupil. When Mr. Lace suggests that Nina put on an art show, Ada becomes jealous and loses her temper. Now Ada isn't speaking to her dad, she's falling behind in art class, and she still doesn't know how to fix her robot. As the competition looms closer, Ada starts to wonder if there might be a way to use both science and art to solve her problems. Will Ada make up with her father in time to test her hypothesis? Or will her hurt feelings leave her seeing red and without a medal at the end of the day?" Third grader and inventor extraordinaire Ada Lace is on spring break. But it's just a little less relaxing than she'd imagined. Nina is beside herself with excitement about meeting her favorite artist and enlists Ada and Mr. Peebles's coding-whiz nephew to help revamp her online portfolio. When Nina finally meets Miroir, he snubs her, and her confidence is shaken--but not enough to miss the art show opening. While there, Ada spots a suspiciously familiar painting that may mean Miroir isn't the original he claims to be. Will the friends be able to reveal the artist's true nature, before he fools someone else? Signed copies are only available while supplies last so don't wait!